JST Connector in a Breadboard? While not ideal, the 4 pin version will barely fit a 0.1" breadboard but the 5 pin version will have problems. This uses a 4-pin JST PH connector. Do you sell the mating connectors by itself ? 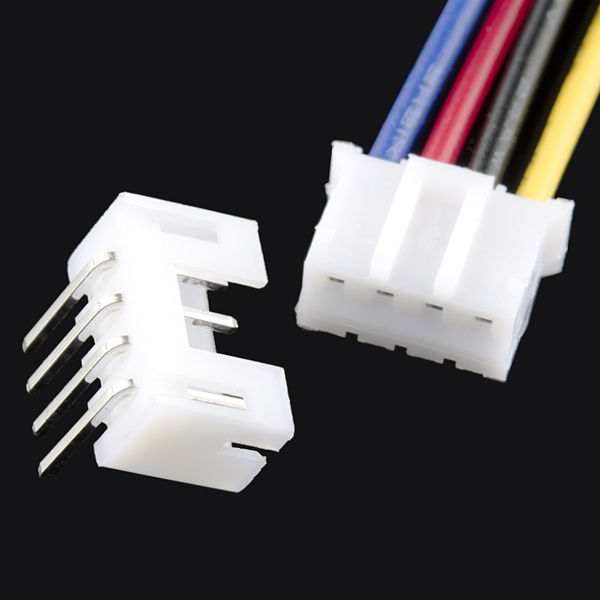 We sell the 2 pin connector and 3 pin connector, but unfortunately we don't currently sell the 4 and 5 pin connectors by themselves. Is Sparkfun going to offer a SMD version of this? 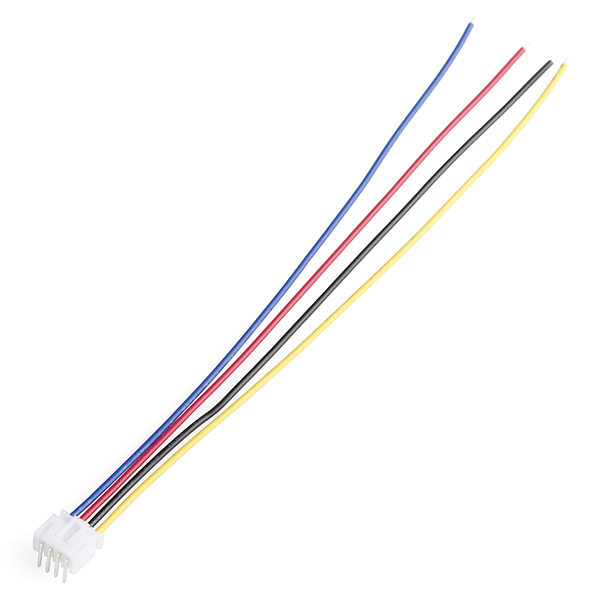 why is the datasheet for a 3 wire connector? also whats the voltage and current rating for these? finally is there an eagle library for these? BEWARE.... These don't use the standard .1" spacing. They are smaller. Is the mating connector actually a right angle one, is was that just used for the picture? I'm sorry, these are not standard 0.1" spaced. They come very close, but don't mate with other 0.1" connections. The white version of this JST connector is much better. The wire is a heavier gauge. The tinned ends on this one makes it difficult to strip and prepare. Bring the other ones back.